Formerly, practitioners could gain teaching licenses in each individual art. Several arts were thus passed down along separate lines. 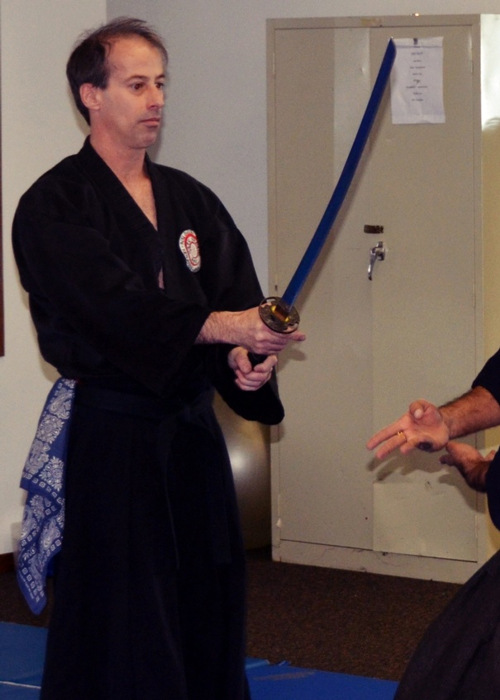 Vilaire Sensei taught the current senior instructors in the art, including Sastri Sensei. Sastri Sensei then introduced the art to the Asian subcontinent. During his three years in the subcontinent, Sastri Sensei laid strong foundations for the school, with the Bangalore dojo operating continuously every week since the early 1990s. 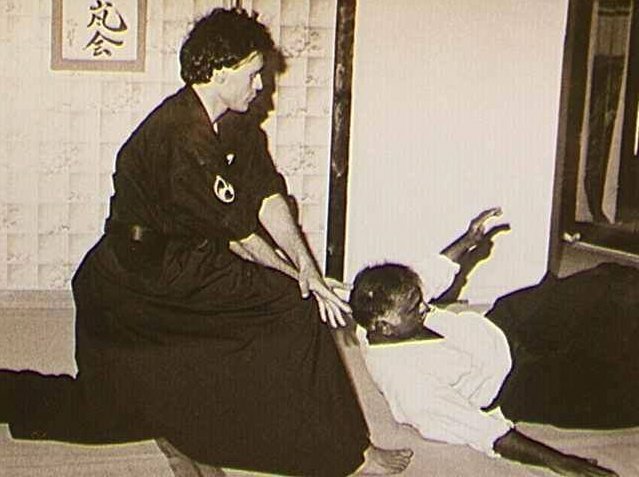 Sastri Sensei (right) training under the tutelage of Vilaire Sensei (left). Sastri Sensei (second from right) inaugurating the dojo in Bangalore, India in the early 1990's. Lunia Sensei (second from left) was his first Oku Iri. Lunia Sensei training under the guidance of Sastri Sensei. All techniques were always pressure tested with live blades and sometimes demo's drew blood. Sastri Sensei also brought Mahipal Lunia Sensei and Ramesh Jodige Sensei through the ranks. Since the late 1990s, Mahipal Lunia Sensei continued his training in United States under both Vilaire Sensei and Sastri Sensei. When Lunia Sensei moved to California, some friends persuaded Lunia Sensei to teach them privately. After many attempts to launch a small school, he laid the foundations of Mountain View Aiki Kai (MVAK) on July 1st 2006. The school has consistently operated 4x/week ever since. One of Lunia Sensei's senior students, Fernando Hernandez Sensei introduced the art into Latin America. Lunia Sensei currently makes two trips a year to Mexico to go train with Hernandez Sensei and his students. In addition to Lunia Sensei teaching 3x/week at MVAK, we are privileged to have Vilaire Sensei on a regular basis. Additionally, Ben Thul Sensei (Moko Roku) has joined MVAK and assists with the school. Lunia Sensei (left) and Hernandez Sensei (right) at the inauguration of the Mexico dojo. Uchi-deshi (Kanji Hiragana, literally meaning “inside student”) is a Japanese term for a live-in student/apprentice who trains under and assists a sensei on all activities of the dojo. Usually wears an all white Gi Uniform, and a black hakama. This stage lasts anywhere from three to five years. The Oku Iri then is your first major transistion. It is the first teacher’s grade, and it varies with the Ryu. The most conservative Ryu will require four years of training. That is usually done under a headmaster. Wears a white Gi top, black pants, a black belt, and a black Hakama. Untiring, unswerving dedication to a system. Four years minimum. In some Ryu, it can last as long as an eight-year apprenticeship. Moku Roku simply means a register or a catalogue. After this stage, your name is now entered in the official catalogues of the Ryu—the registries. Before reaching this rank, your name does not appear. Wears an all-black Gi, a black belt, and a black Hakama. There are usually two levels here. The lower one—the “beginning“ and a higher one—the “afterwards.” Most Ryu require eight to fifteen years of training for this high level rank. Menkyo means “license.” You are now considered to be a licensed instructor. This is the level where you can stand on your own feet and your Ryu will back you up as authorized to teach. Before that you were more or less an assistant. Menkyo Kaiden meaning “license of total transmission.” It is a license granted by a school, meaning that the exponent has learned everything and passed all aspects of his/her training within the system. Here, the exponent wears a red and white belt or an all-white belt. Advancement of this license is not determined by the number of years spent learning, but rather by how well one masters the discipline. However, the transition from apprentice to Kaiden requires usually at least thirty years of experience.